52 Fridays is a year-long series for equestrian professionals and equine business owners and managers, with marketing and public relations information, ideas, tips, & resources shared here each Friday throughout 2011. A recent show I saw on the Science Channel made an interesting point about ‘survival innovations’ by the human race in the face of Earth’s natural (and sometimes sudden) cycles of climate change. 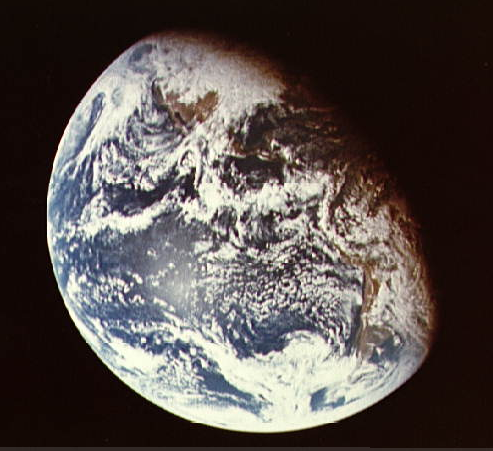 These conceived adaptations have been in response to externally imposed circumstances, but have given us the world we know today, including agriculture, science, art, and all the conveniences of modern life. I think we forget that the horse world is also one subject to change and innovation. Many say ‘we have to use this tack/gear/hat/clothing because it’s always been that way.’ But really, it hasn’t. So when it comes to horsebiz, doesn’t it make sense to embrace change in response to changes in the world around us, rather than resist it? For some examples of the good that can come from embracing change, here are some equestrian adaptations that weren’t in existence even a few years ago. Click here to read more about horsebiz innovations…. 52 Fridays is a year-long series for equestrian professionals and equine business owners and managers, with marketing and public relations information, ideas, tips, & resources shared here each Friday. New EMAIL blog subscribers receive a ’52 Fridays’ PDF when they sign up; existing subscribers and new RSS FEED & WORDPRESS subscribers can send a request for their own PDF here. Rounding out the 52 Fridays section on media, I wanted to add in a few final recommendations about locating media outlets. To find outlets for equestrian news and stories requires research in addition to the effort needed in building relationships with them, understanding their audiences and what they want so you can craft a good story angle, etc. It can be both time and labor intensive. That’s one part of why businesses hire PR people, we either have or can build the infrastructure for your news efficiently and effectively, with a strong chance to get that desirable third-party publicity for your horsebiz. But if you want to DIY, it can be done. Start local, keep good contact records, put out solidly-written and strategic press releases, and do all the things I recommend here in the No Biz Like Horsebiz blog! If you missed any of the 52 Fridays posts about media, you can find them in the Sort Posts By Topic dropdown menu in the panel to the right. 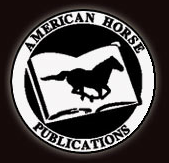 One option I recommend to my clients is the American Horse Publications (AHP) Newsgroup. I’ve been a member for something like 6+ years already; AHP celebrated its 40th anniversary in 2010, and has been making organizational changes to take into account the evolution of, and challenges facing, publishing and other types of media. With a reasonably-priced AHP membership, one of the perks is that you can send up to two press releases per month. The Newsgroup not only goes to all other members (including equestrian media editors, publishers, writers, and corporate members, among others), news releases are also housed online where they’re accessible by the general public and will frequently attract additional attention, postings by bloggers, etc. Of course all the ‘dos & don’ts’ of press release writing apply – be sure to also include a link back to an online version of your news release at YOUR site! 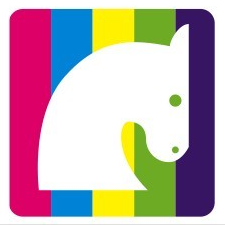 I also love the folks over at Horse Radio Network (HRN) and all the cool and fun things they’re doing in terms of Internet radio and equestrian programming. HRN founder and ‘America’s Horse Husband’ Glenn ‘the Geek’ Hebert says they’re always looking for guests, so you can get in touch with Jennifer Hebert (jennifer(at-sign)horseradionetwork.com), Glenn’s ‘better half’ and the network’s producer and ‘chaos control officer’ if you’ve got something interesting going on you want to share with the world. HRN is on Twitter, where you can follow them via @HorseRadio, and they live-Facebook during the weekday morning Horses In The Morning show. Handling horsebiz public relations and media strategy responsibly and effectively can be a complex recipe, requiring some trial and error before you’ve got the hang of it. AHP and HRN are but two more resources in the marketing toolbox…but if you sign up for AHP membership or contact HRN about being a guest, be sure to tell them Lisa Kemp sent you! Did you enjoy this article or find it useful? Please take 5 seconds and scroll up to the top to give this article a score, from Very Poor (hope it’s not at that end of the scale!) to Excellent, via the new Rate This tool right under the title (hint, look for the rating ‘stars’ – if you don’t see ’em, click on the blog post title to go directly to the page for this post, where the stars will then show up!). Share your 52 Fridays-inspired success stories or marketing tactics via the Leave a Comment link below. See you here next Friday for 52 Fridays #32! Read other posts by clicking on the Sort Posts By Topic dropdown menu to the right and selecting a category, or you can select 52 Fridays to read posts #1 through #30. This article and the site contents are copyright Lisa Kemp and Kemp Equine, all rights reserved. Content may be linked to from your site or social media, but not copied, in whole or in part, without prior permission. It’s also good karma, and good ethics, to give source credit. Thanks. Last Monday featured the PR campaign for the Horse World Gives Back radiothon & Retailer Day to benefit horsebiz owners affected by the recent flooding and tornado disasters throughout the U.S.; tonight is the radiothon, and tomorrow (June 7) is the Retailer Day. I hope you’ll tune in and consider a donation, no matter how large or small. Horse Radio Network founder and radiothon host ‘Glenn the Geek’ Hebert says have the Kleenex ready. Social Media Avatar Images: If you have images or logos available for the media to use, add in a square-shaped image or two that folks can use as their social media avatar. I used the Horse World Gives Back logo and it worked fine, but it did cut a bit off the top and bottom. Consider it another way to ‘get the word out’ about your campaign, by giving supporters a way to show that support. Live Social Media Messaging: Myself and Jackie Baker from the Regarding Horses blog will be live-messaging during the radiothon, both via the Horse World Gives Back Facbook page and Twitter account, and I’ll also be live tweeting via my own @KempEquine account. Remember that the official Twitter hashtag for the event is #horserelief, but you can also use #HorseWorldGivesBack; including one of those in your tweet turns it into a searchable active link. The #horserelief hashtag is also shown on the Horse World Gives Back website Twitter timeline. Live messaging via social media is a way to engage people in the moment, and share the experience across your social media community. Giving Thanks: Pulling together and promoting any event takes a lot of time, effort, and people. Be sure to build in a place to give acknowledgement to those that helped you along the way. Keep a running list so you don’t forget anyone! I’d also include their contact information, so that you have it all in one place and don’t have to dig for information you thought you had. You’ll be able to listen live via the Horse World Gives Back radiothon internet player – please join in to make a difference for all the folks who lost so much in the recent disasters. Disclosure note: I’ve been helping Horse Radio Network with some promotion for this event on a pro bono basis. In case you were wondering. We’ve all been seeing images of the recent U.S. flood and tornado devastation; if you’ve wondered how you might help horses in need and their owners or what you can even do, wonder no more. At the same time, you can see a bang-up PR campaign that’s getting underway, and learn from it in the process. 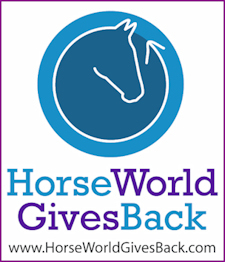 Horse World Gives Back is a campaign to do just that – allow the horse world an avenue to help other equestrians and horsebiz owners in need due to disaster. This fundraising drive centers around a 3-hour Horse Radio Network Radiothon on June 6, 2011, and a Retail Day the following day, June 7th. Donations will go through the U.S. Equine Disaster Relief Fund and the Red Cross. Looking at this campaign purely from a news and PR view, it’s a story that’s on the minds of most these days. Major news outlets are covering tornado and flood issues on a daily basis. Add in the public’s desire for more information and updates on this top-of-mind story, plus the desire of many to help others in need, and the possibilities are wide open for ongoing news coverage and a good chance for Horse World Gives Back to be picked up as a media story. Despite coming together quickly as an event, Horse World Gives Back is well-branded, with a strong visual identity. The charities collecting the funds are well-known and respected (Red Cross, U.S. Equine Disaster Relief Fund). We’re all familiar with the concept of a telethon or dance-a-thon, but a horse industry radiothon could be a first, upping the newsiness. All news media are time-pressed and on deadline. It’s important to give journalists (and bloggers) the facts and tools they need to tell your story. Horse World Gives Back has set up an excellent Media resource on the official website, giving a well-written press release in two versions (a PDF document, and a web version); official logo JPG files in several sizes; additional click-thru web graphics; and social media text options. There’s also a ‘listen to the radiothon’ link to the Horse Radio Network Radiothon Player; anyone can add it to their website, giving visitors a way to listen to the radiothon broadcast. Photos would provide a visual to help illustrate the dire need and provide a ‘call to action’ for viewers, but they could be difficult to come by. There’s also the issue of copyright and paying the photographer, unless the images were donated; in lieu of images, it’s good they have the logo available. Due to its nature, Twitter is an excellent social media tool for breaking news. ‘Hashtags’ are words that, when combined with the # sign, become live, active links – click on one, and it will take you to a stream of all other tweets or posts with that same hashtag. In the case of Horse World Gives Back, the official hashtag is #horserelief, but depending on your goals you could select a more branded one, such as #HWGB or #HorseWorldGivesBack. It’s a good idea to have a short hashtag, but longer ones can work, too. Not only has Horse World Gives Back provided social media (Twitter, Facebook) tools in their Media area, they’ve also included buttons to connect you directly to their own Twitter and Facebook accounts, AND they’ve included a livestream of the official #horserelief Twitter hashtag, so you can see the Twitter traffic streaming by. In our networked world, social media is crucial in a time-sensitive campaign like this, to get the word out quickly. Not only has Horse World Gives Back provided a sign-up for retailers participating in the Retail Day, they’ve built-in a sign-up for the equine media outlets, websites, and blogs that will commit to promoting the event as Affiliates. Both result in a clickable list of participants, recognizing their commitment to help. There’s also a Participate link, giving everyone who wants to a chance to take part and spread the word to promote the fundraiser. The final success of this fundraiser will be in the dollars raised to help horses and people affected by these recent natural disasters. However, Horse World Gives Back has built in all the tools for a successful word-of-mouth PR campaign, so I wouldn’t be surprised if that success is a big one. Please consider how you can participate in, tell others about, and donate to Horse World Gives Back. Even if you can only give a little, it adds up. If all horsefolk joined forces on this one, think of the difference we’d make! Learn more about Horse World Gives Back here. Your website is your ‘official’ voice on the Internet. It’s a destination where web surfers can find you; it’s the online source of information about your horsebiz, about your services and what you offer to the equestrian world. A website can tell prospective customers a great deal about your operation, and about how you operate. Facebook is also a ‘destination’ on the web, but it serves a very different purpose. Whether right or wrong, when logged into Facebook many experience an ‘ahhhh’ of community. ‘It’s safe; we’re all Friends and Fans here.’ Because of that community feeling, it’s easier to have casual interaction with people on Facebook, and that casual interaction can help them become strong supporters of your brand and perhaps even customers. Now, I’m not saying if you don’t have a Facebook account to run to the nearest computer and create one! Facebook, like Twitter or blogging or any bit of technology, is merely a tool for carrying out your marketing objectives. Personally, while I’ve got a Facebook account, I’ve focused more on Twitter and developing my community there. But, I do see the value of having a Facebook presence as part of an integrated social media strategy and marketing plan…IF Facebook fits into your overall goals, AND you have the resources to do it well. Equestrian Collections uses their Facebook account to share news & information relevant to their customers and Fans; they post Fan of the Month photos, and have giveaways & contests. Currently they’re running an essay contest, about what you’d do with a new pair of rainboots. 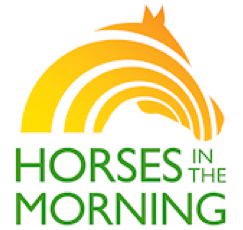 The Horses In The Morning show on Horse Radio Network interacts with Facebook members during the M-F morning shows; when the show goes live, they also post links to both website and mobile device ‘listen live’ URLs, and provide the call-in number to the show. All of this engages people and invites them to not only listen, but to participate. Facebook has value, but please think through what your goals are, and what resources you can dedicate to building and interacting with your Facebook community. Done poorly, a Facebook page can be a turn-off, and might even damage your brand. Who do you know in the horse world that does a great job on Facebook? Let us know who they are and what you like about them via the Leave a Comment link below. See you here next Friday for 52 Fridays #15! Read other posts about Facebook by clicking on the Sort Posts By Topic dropdown menu to the right and selecting the Facebook category, or you can select 52 Fridays to read posts #1 through #13.